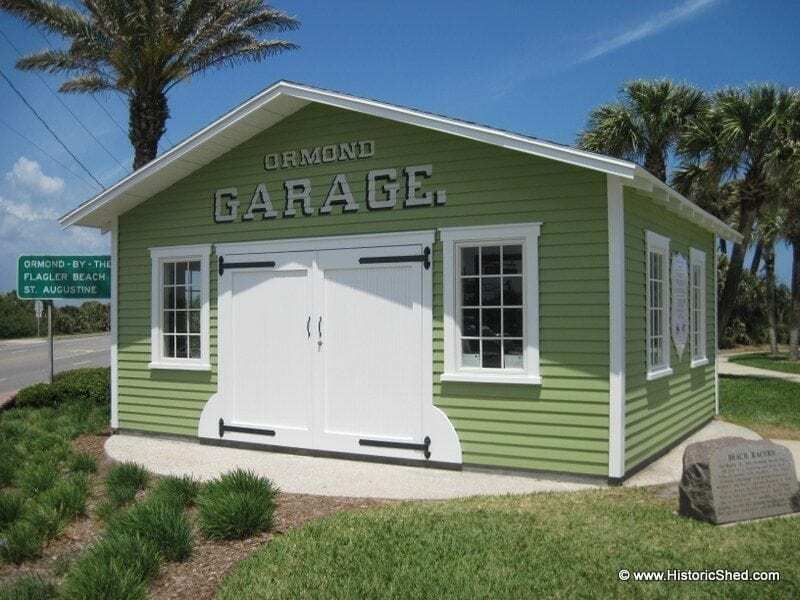 Earlier this year we built a custom garage in the historic Lake Lawsona- Ferncreek neighborhood in Orlando, Florida. Unfortunately, when the garage was first finished, we didn't get very good photos. Luckily, when we went back in April for the Lake Lawsona Garden Tour, we were able to swing by and see the garage nestled beautifully in the finished yard. The Lake Lawsona - Ferncreek Garden Tour takes place every other year, alternating annually with the Lake Eola Heights Neighborhood Garden Tour and is well worth attending. This year, we were given booth space near H. H. Dickson Azalea Park, which is a phenomenal historic natural landscape park comprised of a ravine down the middle of the neighborhood. It is a great asset that complements the lovely 1920s homes that make up the neighborhood. We were recently contacted by the owners of a lovely 1940s Mission style home who could not find a suitable replacement garage door for their home. Since the door opening is a non-standard size, it required a custom replacement door, quoted at $7000 from an overhead garage door supplier. Luckily, they saw one of our signs in front of another project we'd recently completed and called us. Below are photos of the before and after. Since the garage is attached to the house, the doors are very visible from the street and make a big impact on the home's curb appeal. For more information (and pricing) on our carriage house style doors go to https://historicshed.com/historic-home-accessories/carriage-house-style-doors/. American Bungalow magazine has republished a great article on Bungalow Garages from its Winter 2000 issue on its website. The article has great background information on the development of the garage as a building type, as well as appropriate design features, and ways to adapt for modern use. The article can be viewed at http://www.americanbungalow.com/2010/07/the-bungalow-garage/. Garages are a significant contributing element to historic properties, adding both charm and function when properly maintained. 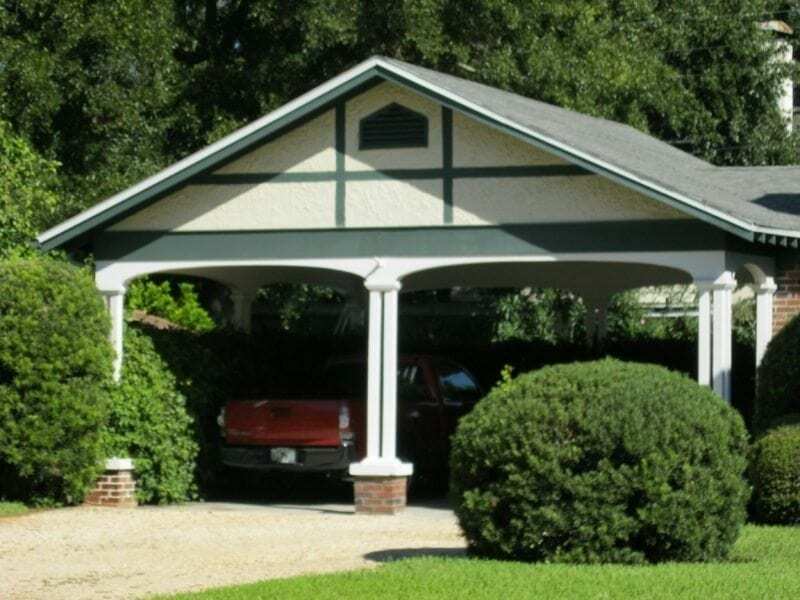 Historic garages typically can be fairly easily repaired, with missing architectural elements replaced and traditional-looking, yet modern-functioning elements used. There are several benefits to retaining a historic garage instead of building new. Repairing a historic garage maintains original historic fabric at your historic property. In addition, they are already designed to complement your home; are built with traditional, old growth materials; and many historic garages are built within new zoning setbacks, allowing you to make use of areas of your yard that would be off-limits if you built new. If you are not lucky enough too have a historic garage in place, a new garage that complements your historic home can be designed by the professionals at Historic Shed that blends seamlessly into your property and is built with traditional materials and methods that are time-tested for the Florida climate, while meeting modern requirements. 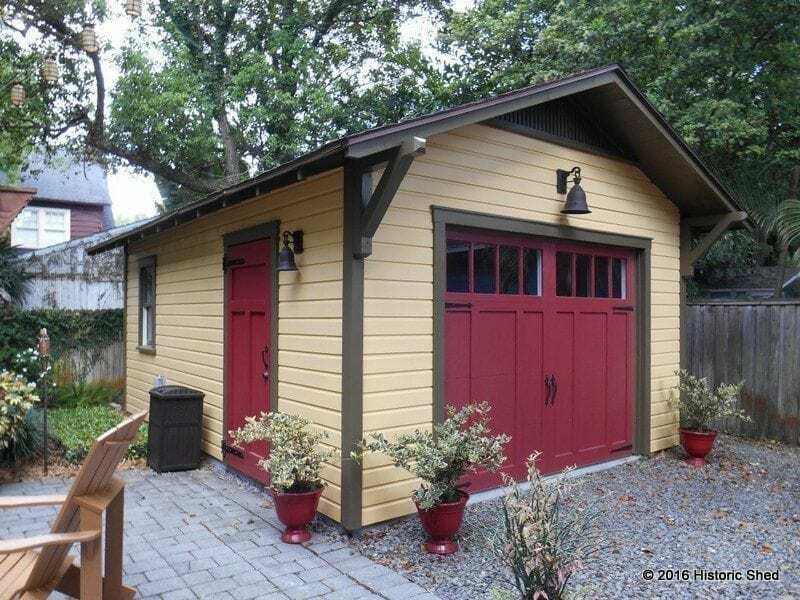 At Historic Shed, we custom build our out-swinging double doors, common on historic carriage houses and early garages, out of cypress bead board with a solid wood cypress frame. We install the doors using heavy-duty, period-appropriate hinges that will ensure that your doors will perform trouble-free for many years. The doors are perfect for retrofitting historic garages as well as for new outbuilding/ shed installations. Click on the images to see the door details up close.